Savannah State University student researchers presented full size poster summaries of their work at the 8th Annual Research Conference held at the King Frazier Ball Room on April 24th. The conference included networking sessions and presentations. 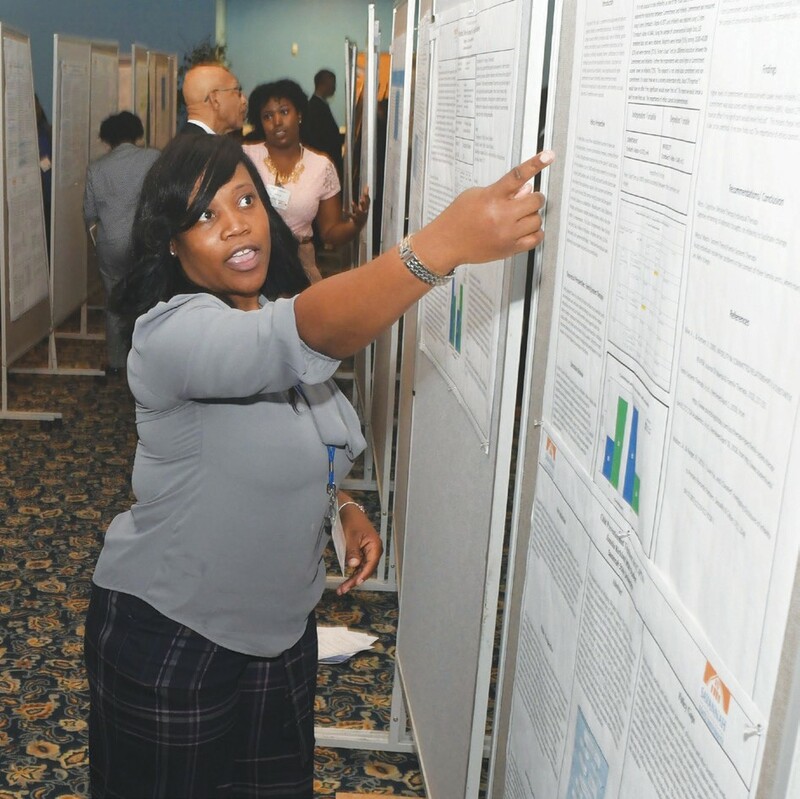 The event highlights research by undergraduate and graduate students enrolled at SSU and other major research institutions, and included more than 125 research posters. The Conference was organized under the leadership of Dr. Chellu S. Chetty, Associate Vice President for Research and Sponsored Programs and Regents Distinguished Professor of Biology at Savannah State. Chetty has directed several major NIH-funded Biomedical Research and NSF-funded STEM Programs with a budget of greater than $15 million. In her remarks, Dr. Cheryl Dozier, president Savannah State University said, “. . . research is about solving problems – asking the right questions and finding the answers. . . it is about research and discovery.” Dozier noted the Conference research represented students from SSU’s College of Science and Technology, College of Business Administration, College of Liberal Arts & Social Sciences and the School of Teacher Education. She exhorted the students to publish what they’ve learned from their research. The Conference was sponsored by The Office of the President, SSU; Office of Sponsored Research Administration (OSRA), National Oceanic and Atmospheric Administration (NOAA)—Living Marine Resources Cooperative Science Center; Quality Enhancement Plan (QEP) and the SSU COST Outreaching & Career Development Office.